Our Price: $119.95 ( 60% OFF ) *Spring Sale! TRIVEX Super Sharp Sunglass Lenses - light-weight hard-coated lenses. The Trivex material offers the best tinting quality & sharpest vision available. These offer 100% UV protection & are available in various tints. All lenses include free scratch guard, and perfect mounting into your frame. Every job is completed and verified by licensed opticians at our USA lab. Compared to: $249.00 retail. Don't forget anti-reflection (AR) coating treatment...just add to Cart before Check-out. *Note, we can also match lens tints as close as possible by request. 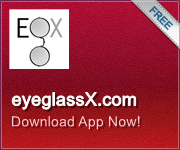 TRIVEX lenses include a free 1 year "Super Tuff" breakage guarantee. Thank you so much! I just received a pair of replacement lenses in an old pair of sunglasses I loved but had become unusable because of outdated lenses. The prescription you did is great, the color is great, and my glasses look terrific! I'm really pleased.